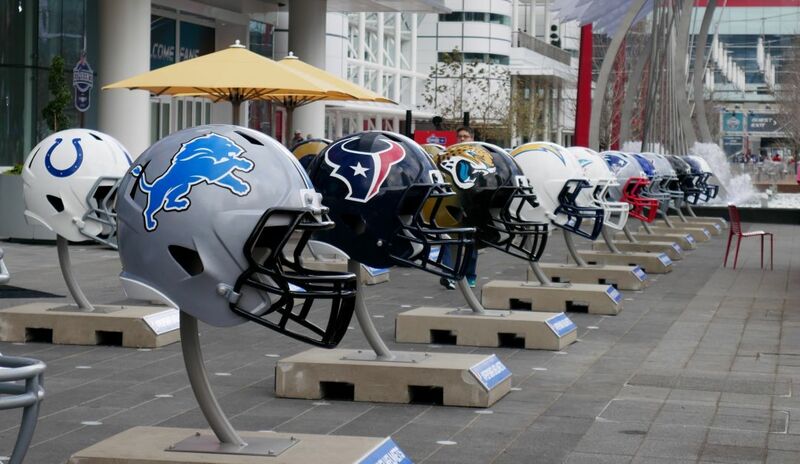 The Houston and Texas connections to look for, plus our prediction for who's going to win it all. 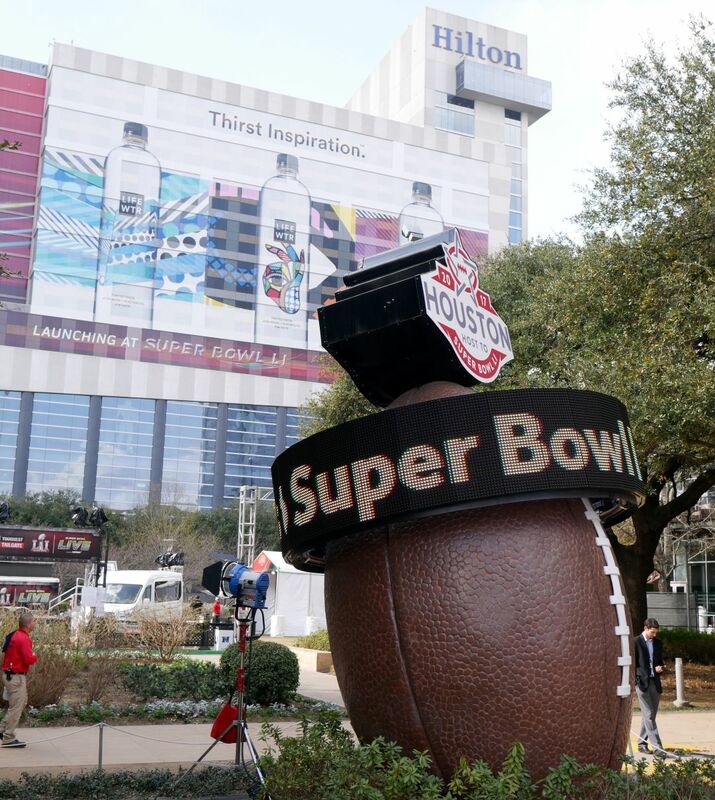 Shortly after 5 p.m. Sunday, Super Bowl 51 will kick off in Houston’s own NRG Stadium. The Atlanta Falcons, behind second-year head coach Dan Quinn and longtime quarterback Matt Ryan, look to win their franchise’s first-ever league title, while the Patriots will be attempting to win their fifth title in seven appearances (nine total) with the killer coach/QB combination of Bill Belichick and Tom Brady. The game matches up two of the top offenses in the league, but the defenses have their strong points as well and may be key to turning the match. Our preview takes a look at some of those key match-ups and how they might be won, along with a little bonus for Houstonians who are curious which teams have ties to the area (and to Texas more generally). Image: Rob Marmion / Shutterstock, Inc.
Atlanta was the league’s top offense this season by almost any measure, but Belichick may be the league’s top defensive mastermind. This matchup of strengths is likely to determine the game. That said, while the Patriots’ defense seemed dominant, finishing the season with the fewest points allowed in the league, more advanced metrics don’t rate them as highly. Football Outsiders’ DVOA statistic rated them as only the 16th-best defense in the league, in part thanks to playing the league’s easiest schedule. The most difficult part for the Patriots may be pressuring Matt Ryan. After trading Chandler Jones last offseason and Jaime Collins mid-season, the Patriots have been left with a thin pass rush. Trey Flowers, Jabaal Sheard, Rob Ninkovich, and Chris Long form a capable rotation on the edge, but none of them commands a double-team. 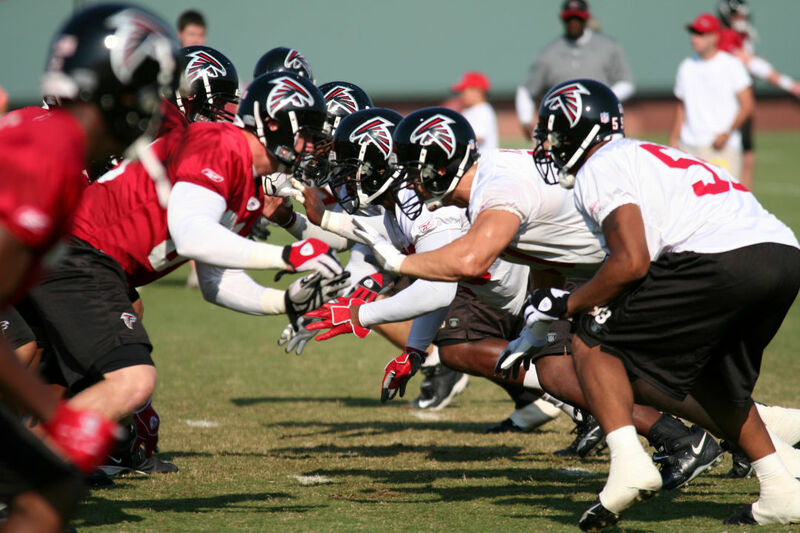 Atlanta has one of the league’s best offensive lines, led by second-team All-Pro center Alex Mack, former No. 6 overall pick Jake Matthews, and breakout right tackle Ryan Schraeder, who graded sixth overall at his position in Bleacher Report’s NFL 1000 rankings. No matter how good New England’s coverage is, if the Patriots can’t pressure Ryan, someone will get open eventually. Bill Belichick usually prioritizes taking away the opposing team’s top option, so expect Julio Jones to be double teamed throughout the game. Malcolm Butler has developed into one of the league’s best cornerbacks; if the Patriots can successfully double-team Jones while placing Butler on Mohamed Sanu, the Falcons may have to look elsewhere for their offensive gains. The key to this game may be whether the Patriots’ linebackers can cover the Falcons’ running backs out of the backfield. While the Patriots’ run defense is quite strong, with a rotation of young defensive tackles leading the team to the fourth-best run defense DVOA, they only finished 20th in covering running backs on pass plays by the same metric. Devonta Freeman and Tevin Coleman may be prepared to break some big plays on the outside—and they may have to for the Falcons to win. 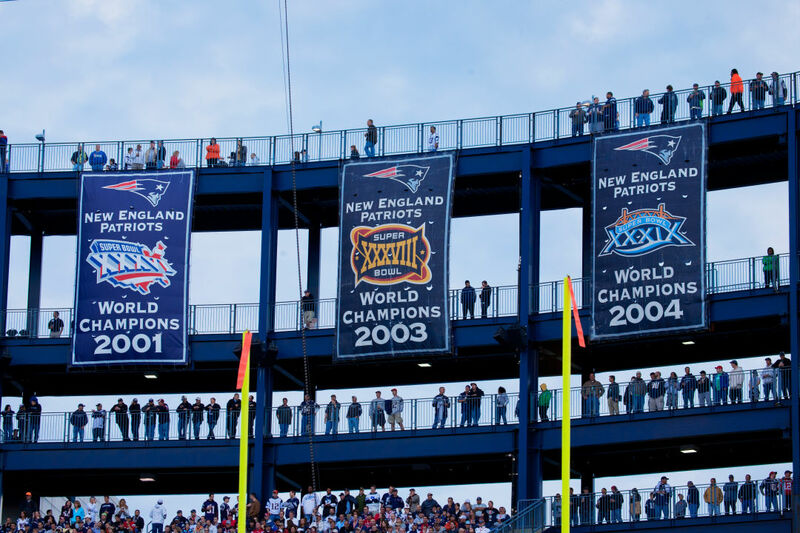 We get it Pats; you're good at winning. Image: Joseph Sohm / Shutterstock, Inc. The Falcons have infused their defense with talent in the last couple of years, particularly through the draft. Their first- and second-round picks in 2015 and 2016 were used on defenders, including All-Pro pass rusher Vic Beasley. However, the defense still had plenty of holes and was outmatched at times (25th in total yards, 27th in points, 27th in DVOA), though they played substantially better toward the end of the season and the playoffs. The Patriots can do a little bit of everything on offense, and that all starts with future Hall of Famer Tom Brady. At 39, he’s as accurate as ever and elevates everyone around him. He’s the reason the Patriots consistently have one of the best offenses in the league even when they don’t have high-end talent around him. In the passing game, Brady has options at every level. James White’s steadiness and Dion Lewis’ explosiveness make them dangerous threats as receivers out of the backfield. Falcons rookie linebacker Deion Jones, a defensive player of the year candidate, has the best chance of keeping up with them. The Falcons are without top cornerback Desmond Trufant, who went on injured reserve in November, and while the Falcons’ remaining corners are quite capable, the Patriots have a slight advantage here. Julian Edelman was one of the most-targeted receivers in the NFL this season, as he is excellent at finding holes in a zone coverage. If Atlanta could shut down Edelman with one player, that would be a major advantage for them, but absent Trufant, that may not be possible. Beyond Edelman, Chris Hogan has proven to be a valuable threat when he has a matchup he can exploit, and the return of rookie receiver Malcolm Mitchell gives the team another solid, reliable player who can be counted on when he’s open. The Falcons may try to make up for a disadvantage in the secondary by bringing pressure against Tom Brady. However, Brady has proven to be an excellent quarterback against the blitz, so the team may have to rely on Vic Beasley more than usual to make Brady uncomfortable. Beasley does have the talent to be a force if left one-on-one. The Falcons will miss Adrian Clayborn here as a secondary rusher, but players like Grady Jarrett and Brooks Reed are capable of providing some pressure. Rookie first-round strong safety Keanu Neal has done a little bit of everything, from defending the run to covering zones to matching up with tight ends, and he could be the wild card in this matchup. When the Patriots choose to rely on their running game, they have one of the more underrated hammers of a running back in LeGarrette Blount. Blount won’t threaten anyone as a receiver, but he’s a talented and reliable power back who steadily wears down teams and converts in short yardage. The Falcons do not have a stout run defense, so if they can’t keep the Patriots needing long yardage to gain, they may find themselves in trouble. There are some Texans connections among the teams. If you can’t decide which team to root for, perhaps a review of their connections to Houston and Texas may help. Of course, the Texans have established something of a pipeline from New England, as head coach Bill O’Brien coached on offense there from 2007 to 2011. Since coming to Houston, he’s brought several ex-Patriot coaches and players with him, including defensive coaches Romeo Crennel and Mike Vrabel, defensive tackle Vince Wilfork, and quarterbacks Ryan Mallett and Brian Hoyer. For the Falcons: Atlanta offensive coordinator Kyle Shanahan coached for four years in Houston under Gary Kubiak, including two as his offensive coordinator in 2008 and 2009, the year Matt Schaub had his best season. Schaub himself now serves as the Falcons' backup quarterback. Former Texan Brooks Reed (2011-14) plays as a pass-rusher for the Falcons. Atlanta also starts Texas A&M’s Jake Matthews at left tackle. Atlanta has the best offense in the league, but because of their weaknesses on defense, they have a smaller margin for error. If the Patriots can convert consistently on offense, they only have to get one or two stops on defense for Atlanta to be in trouble. I think it’ll be competitive throughout, but the Patriots will open up a lead at some point and not look back.